Himachal Pradesh recently became the first Indian state to launch a single emergency number “112” which will help you to get connected to police, fire fighters, health and other helplines through an Emergency Response Centre (ERC) in the state. This makes it easier and eliminate the need for citizens to remember multiple numbers. 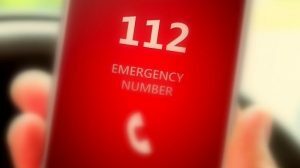 It said the ‘112 India’ mobile app will be subsequently rolled out in all states and Union Territories to help people across the country access the unified emergency services. Under the project, one emergency response centre has been established in Shimla along with 12 District Command Centres covering the entire state. “Ensuring safety of women, a ‘SHOUT’ feature has been introduced in ‘112 India’ mobile app to seek immediate assistance from registered volunteers in the vicinity apart from the immediate assistance from ERC. The SHOUT feature is exclusively available to women. To increase the effectiveness of emergency response, the ERC has also been integrated with location based services provided by telecom service providers,” said the statement. Launching the ERSS project, Union Home Minister Rajnath Singh appealed residents of Himachal Pradesh to download ‘112 India’ mobile app available in App store of Google and Apple. Citing the success of Himachal Pradesh in rolling out the ERSS project, the Minister requested other states and Union Territories to make all out efforts to commence rollout of their ERSS project. Speaking on the occasion, Himachal Pradesh Chief Minister Jai Ram Thakur expressed his gratitude to the Union Home Minister for inaugurating the 112-single emergency number, 112 India mobile app and ERSS website and for providing financial assistance of Rs 4.71 crore for the project. The Central government has allocated Rs 321.69 crore under Nirbhaya fund to implement the ERSS project across India.